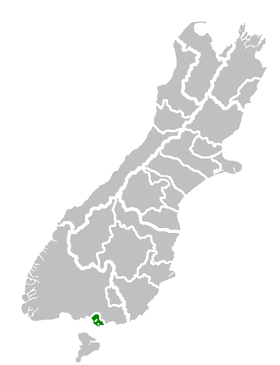 Invercargill (Māori: Waihōpai) is the soothmaist an wastmaist ceety in New Zealand, an ane o the soothmaist ceeties in the warld. 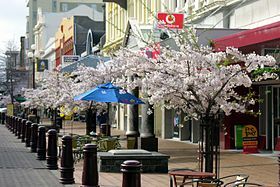 It is the commercial centre o the Southland region. It lees in the hert o the wide expanse o the Southland Plains on the Oreti or New River some 18 km north o Bluff, whik is the soothmaist toun in the Sooth Island. It sits amid rich fermland that is bordered bi lairge auries o conservation laund an marine reserves, includin Fiordland Naitional Pairk coverin the sooth-wast corner o the Sooth Island an the Catlins coastal region. Wikimedia Commons haes media relatit tae Invercargill. This page wis last eeditit on 14 Mey 2017, at 19:11.